A Dj for over 18 years, you could call Andre a Pro. He started to produce music 8 years ago releasing 12″ records and remixes on Moods n Grooves, Simple Records, G-Stone, Fine Art etc. Most recently he founded his own label Best Works Records together with an old college friend Daniel Best, a well known music-promoter and impresario from Berlin. Here he released his current 12” “Searchin”. Andre Lodemann was born in a little town in the former German Democratic Republik now a part of the reunified Germany. In the beginning he is mainly influenced by his parents favorite music, but unfortunately it is a rather limited repertoire due to the repressive censorship of the then ruling communist system. He tries to educate himself by listening to West German radio stations like RIAS and SFB hours at a time and recording songs on reel to reel and later on tapes. Soon he starts making his own mixed tapes with mostly “Extended Version” songs. 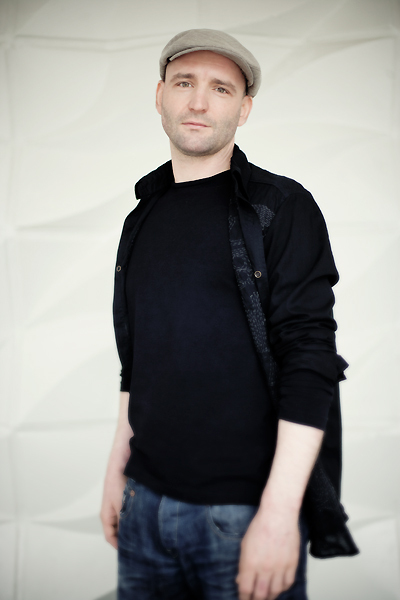 Around the time of the German Reunification Lodemann is involved in the East Berlin techno and trance scene.1990 he purchases his first set of Technics MKII and starts his DJ career. At the beginning he is soley influenced by German labels such as: MFS, Superstition, Eye Q, but soon he includes Planet E, XL and F-communications into his sets. The American influence has a deep impact on his music style, as he discovers Soul, Funk and Hip-Hop and finally finds his way to House music. His House sets are ever since deep and funky. His music becomes more than just danceable rhythms. He discovers the emotional and spiritual depth of Deep House. Lodemanns vision is to create atmosphere arouse emotion and touch the people musically. Andre Lodemann plays the Berliner clubs regularly: Cookies, Tape, Watergate, Panorama Bar as well as other stints around Europe.